VATICAN CITY (CNS) — Drop the innocent look and the habit of judging others, Pope Francis said; recognizing one’s own faults and failings is the first requirement of being a good Christian. In fact, paradoxically, one finds peace and relief in judging one’s own sins, being merciful toward others and saying, “Who am I to judge?” he said March 2 during his homily at a morning Mass celebrated in the chapel of the Domus Sanctae Marthae, where he lives. 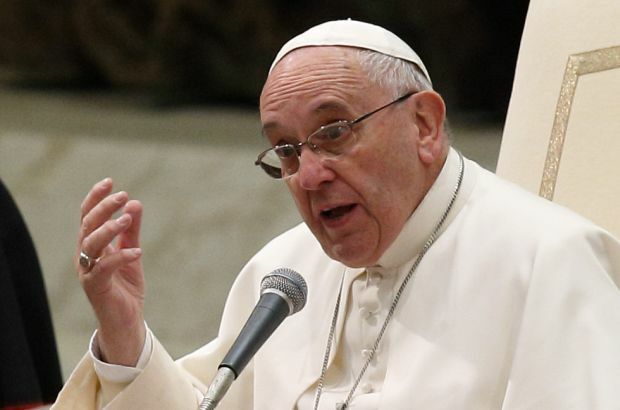 Pope Francis said it is so easy to shift the blame. “We are all experts, we have Ph.D.s in justifying ourselves: ‘But it wasn’t me, no, it’s not my fault. Well, OK, but it wasn’t that bad, you know. That’s not how it went.’ We all have an alibi to explain away our failings, our sins,” he said. “If we do not learn this first step in life, we will never, ever make progress on the path of Christian life, spiritual life,” he said, according to Vatican Radio. Another Christian virtue is being able to feel ashamed before God, he said. Christians should engage in a kind of dialogue with the Lord, not being afraid to feel that shame expressed in the Book of Daniel. When people can see their own faults, he said, it is easier to ask God for mercy and to be merciful toward others. The day before, after praying the Angelus with visitors gathered in St. Peter’s Square, Pope Francis urged people to listen to Jesus and follow him because only he brings true happiness. “Jesus’ path always brings us happiness, don’t forget it,” he said March 1. By following Jesus, one’s life can become “a gift of love toward others, in docile obedience to God’s will, with an approach of detachment from worldly things and of inner freedom,” he said.